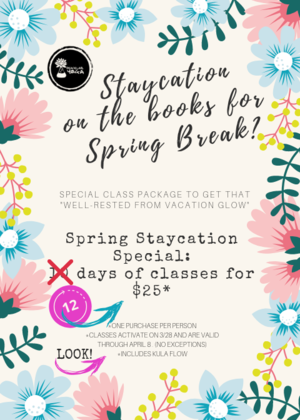 Don’t let a staycation get you down! Get your glow on with 12 days of Unlimited Yoga, including Kula Flow. Starts Thursday Mary 28 and runs through Monday April 8!